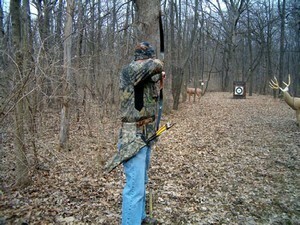 The first annual “Arrows for Tots” hunting style archery event, sponsored by the Straight Arrow Foundation, will be held Saturday, September 20th, 2014 at the Ouachita Parish Sheriff’s Office Archery Range. The event is open to all first responders, their family members and one outside guest per responder. 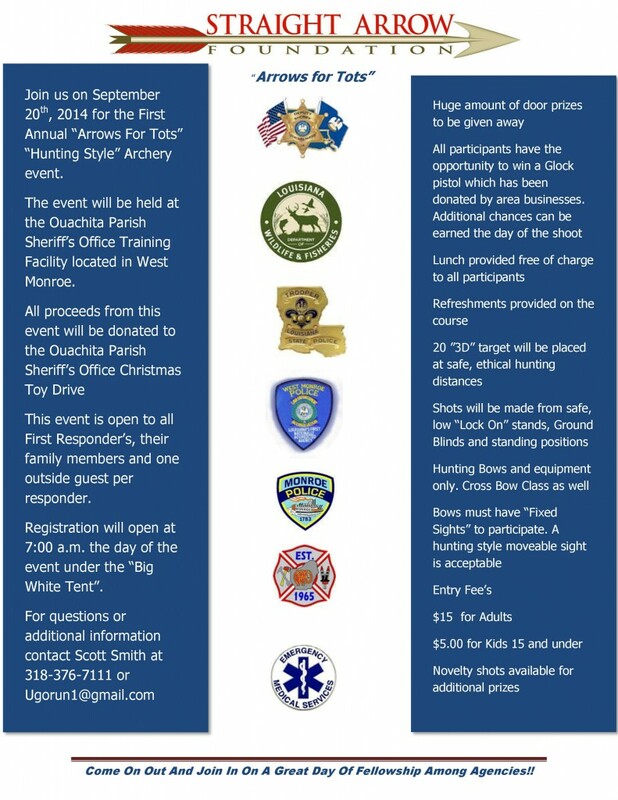 Proceeds from the event will be donated to the Ouachita Parish Sheriff’s Office Christmas Toy Drive. Further details of the event are in the brochure below.